The inclusion of the Touch ID fingerprint sensor in the iPhone 5s may position Apple as the default choice for businesses and government agencies looking to provide employees with smartphones, while also maintaining high levels of security. In recent years, Apple's iOS platform has excelled in enterprise adoption. But government and business markets, which were once dominated by BlackBerry, remain very much in flux. With BlackBerry now on the way out, the smartphone market has turned into what is essentially a two-horse race between Apple's iOS and Google's Android. But Android is also home to an overwhelming majority of mobile malware that can steal information and potentially make corporate phones vulnerable to nefarious attackers. Android malware has become such a concern among businesses and governments that the leading Android smartphone vendor, Samsung, has added its own security layer to the platform, dubbed "Safe for Enterprise," in an effort to make its handsets more appealing to businesses. Apple's iPhone 5s with Touch ID enters an enterprise smartphone market where BlackBerry is on the way out and Android suffers from malware. Apple, meanwhile, has routinely noted that almost all Fortune 500 companies are testing or deploying the iPhone. The company's smartphone lineup also represents the majority of activations among small businesses. To that end, Apple has offered a number of security-conscious features on its iPhones that appeal to businesses, such as remote wipe and passcode expiration. The iPhone also has hardware encryption, and gives businesses the ability to personalize an employee's iPhone, preventing them from installing unauthorized software from the App Store or updating to the latest version of iOS without company approval. It's common among businesses that provide their employees with iPhones that a lockscreen key combination must be entered to access the device. But while passwords offer an initial layer of security, a simple four-digit code can be easily viewed over a person's shoulder as they unlock their device, representing a major security flaw. Routine passcode entry is also a frustrating hassle for users who are likely to unlock and check their phone dozens of times per day. With a corporate phone mandating a lockscreen passcode, users can be required to enter the same four-digit code every single time they want to access their device. 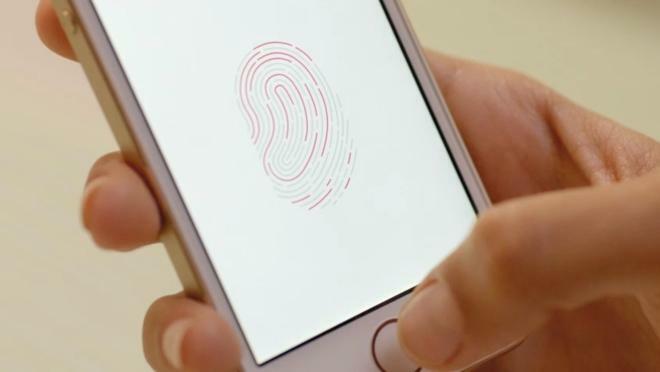 Apple's new Touch ID fingerprint scanner, which is exclusive to the iPhone 5s, aims to address these frustrations while at the same time providing even better security when accessing an iPhone. In this sense, Touch ID could prove to be a welcome addition among both corporations and government agencies, who want something more secure than a four-digit passcode, as well as their employees, who may be frustrated by repeated passcode entry. In Apple's words, it's the "effortless" security offered by Touch ID that will make it an appealing feature for users of all types, both business and personal. 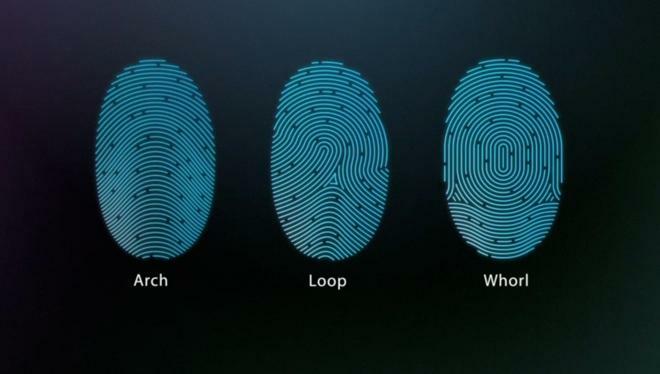 And the implications for Touch ID go well beyond business users. Assuming it works as advertised, Apple's Touch ID fingerprint recognition technology may prove so reliable and quick that many other users will enable lockscreen security on their iPhone for the very first time, acting as a potential detriment to general iPhone theft. But it's enterprise customers in particular who may see the most to gain from Touch ID, with enhanced security that can ensure that only a trusted employee can access the device. Of course, Touch ID would never catch on with businesses or end users if it didn't work as advertised. The system must be accurate enough to ensure security, while also quick enough to make it more convenient than entering a password or code. Unlike most fingerprint scanners, Apple's Touch ID does not require a user to swipe their finger. Simply pressing the iPhone 5s home button is all that is required. But the technology behind Apple's Touch ID has a proven track record, having been around for years through another established company. Apple set the stage for enhanced security in the iPhone 5s with its 2012 $356 million acquisition of AuthenTec, a Florida-based company that was responsible for a "Smart Sensor" fingerprint scanning device. Until now, the most common fingerprint scanners on mobile devices have required users to swipe their finger against a scanner. But Apple's Touch ID, powered by AuthenTec's patented technology, simply requires that a user place their finger against the iPhone 5s home button  no swiping required. AuthenTec's unique fingerprint scanning technology not only leads to a simple and secure way to scan a user's fingerprint, but it also gives Apple a leg up on competitors that will inevitably look to replicate the defining feature of the iPhone 5s in their own smartphones. 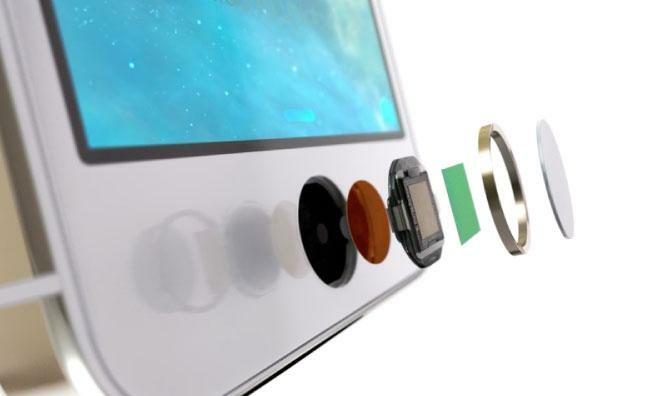 The iPhone 5s Touch ID sensor is made possible in part because of a new steel ring that exists around the home button. That new part is a key component behind AuthenTec's technology, which relies on radio frequency field sensing to accurately identify a user's fingerprint. 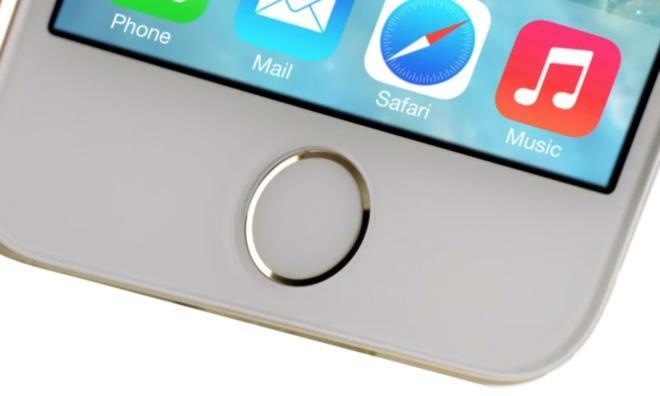 The steel ring around the new iPhone 5s home button acts as an electrode that drives a low-frequency RF signal into a user's finger. The fingertip is attenuated by unique ridges and valleys, which are captured by AC sensors embedded in the home button. AuthenTec's sensors scan a finger at 500 pixels per inch using advanced capacitive touch. This data is then used to create a three-dimensional scan of the fingerprint quickly and accurately, identifying the unique sub-epidermal layers of a person's skin, with details smaller than the human eye can see. All of this technology is encased in a sapphire crystal home button, which Apple says will prevent scratches to ensure that Touch ID continues to operate properly for years to come. Touch ID is also designed to be as convenient as possible, allowing users to place their fingerprint on the sensor from any angle. That means users should be able to press their finger against the home button without needing to worry about the orientation at which their fingerprint will be scanned. But perhaps of greatest interest to prospective business and government buyers is the fact that the fingerprint data is encrypted and securely stored onboard the new A7 chip found in the iPhone 5s. According to Apple, the recorded fingerprint data is only made available to the Touch ID sensor, and it will never be made available to other software or stored on the company's remote servers. Apple has noted that because each person has a unique fingerprint, and it is always carried with them, Touch ID makes for an ideal security method that is both effective and convenient. As for more extreme security concerns, it's not expected that the iPhone 5s Touch ID sensor will work with a severed finger. The radio frequency scanning used by Apple requires that a finger remain alive in order for Touch ID to work properly.